Every year during Mickey’s Very Merry Christmas Party, Disney offers special tasty treats and this year is no exception. Check out these yummy holiday desserts being served at select locations in Magic Kingdom (photos courtesy of Disney Parks Blog)! 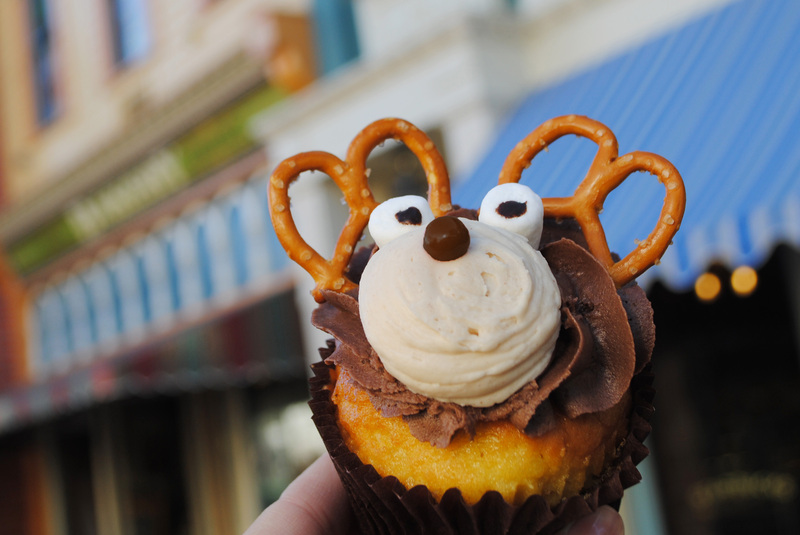 As we head down Main Street, U.S.A., stop inside Main Street Bakery and you will find a reindeer cupcake. This delicious cutie is a vanilla cupcake with peanut butter and is adorned with peanut butter and mocha frosting. 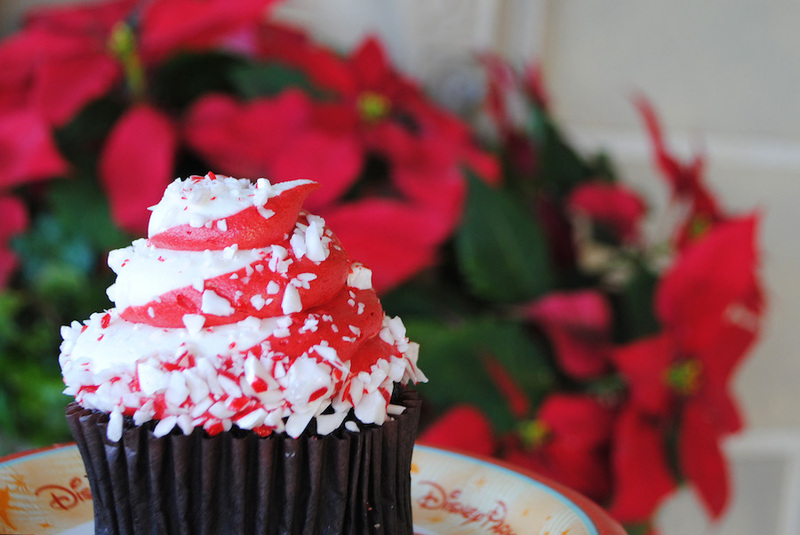 Also being served at the Main Street Bakery is the Candy Cane Cupcake. This scrumptious dessert is a peppermint infused chocolate cupcake topped with peppermint buttercream and sprinkles. A little further down Main Street and you will come upon Plaza Ice Cream Parlor. 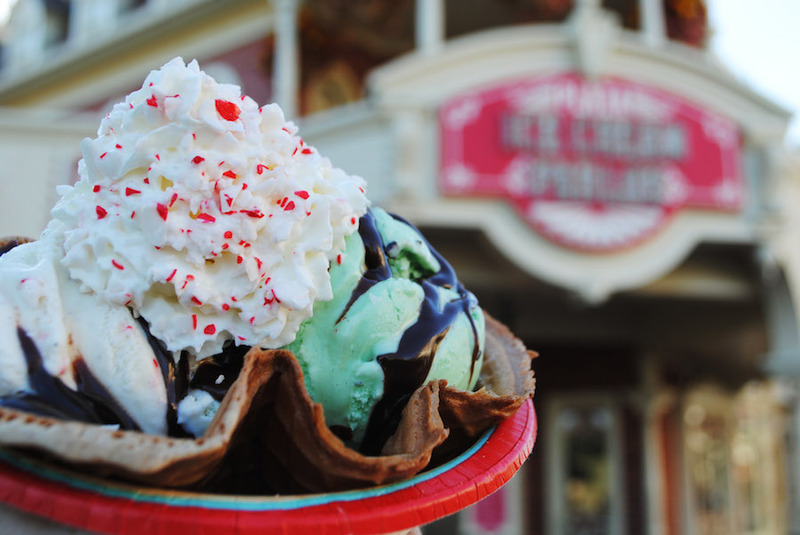 They are serving up a holiday sundae that includes vanilla and mint chocolate chip ice cream topped with hot fudge, whipped cream and peppermint sprinkles piled high in a waffle bowl. Next up is Liberty Square, where we find a waffle sundae being offered at Sleepy Hollow. 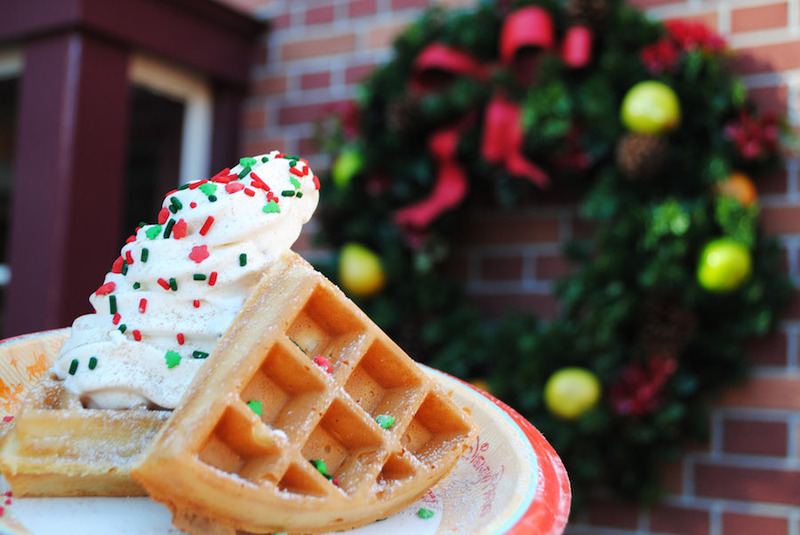 This treat includes vanilla soft serve and holiday sprinkles served a top a pumpkin infused waffle that has been dusted with cinnamon and sugar. 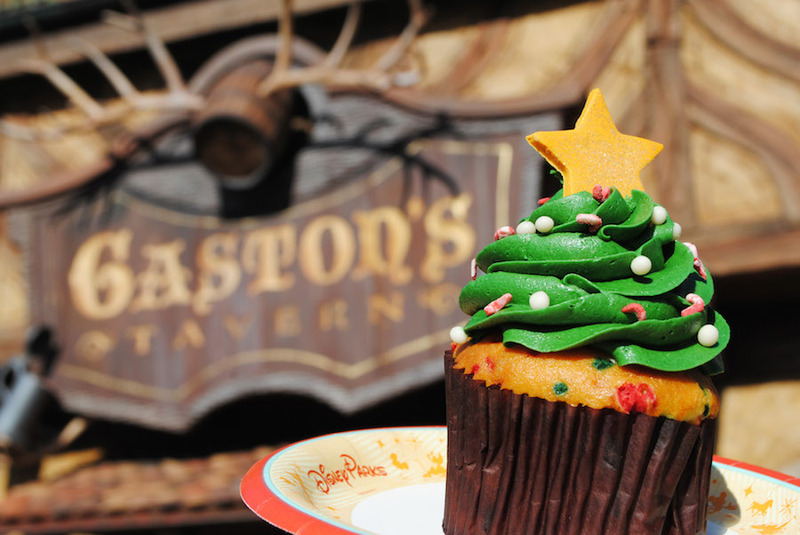 And our last stop is in Fantasyland at Gaston’s Tavern, where you will find a Christmas Tree cupcake. This yummy dessert is a fine combination of spiced confetti cake, buttercream frosting, holidays sprinkles and of course, the all important star on top! Anyone else hungry now? 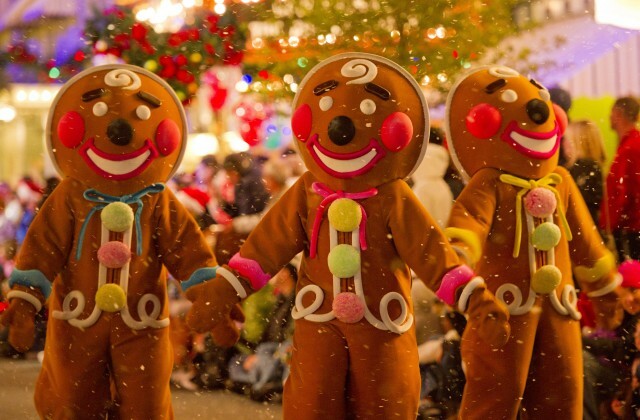 For more information and to purchase tickets to Mickey’s Very Merry Christmas Party, please check out this link. If you won’t be able to attend the party this year, you can always make your own holiday cupcakes at home by clicking this link for a tasty Frozen cupcake recipe!